In 2015, we sponsored the inaugural EducatED Conference organised by Tim Matthews at Oriel High School, and are thrilled to announce that we will be doing so again in 2016! At VoicED, we specialise in speaking to teachers and education professionals about their role, their challenges and needs, and what’s going on in the wider education sector, so we thought it only right that we sit down with Tim Matthews and discuss EducatED in a bit more detail! VoicED: Hi Tim, can you tell us a little about yourself and your role? 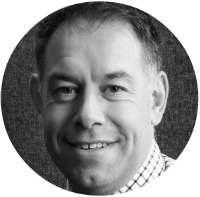 Tim: I’m Tim Matthews, and I’m a Deputy Head at Oriel High School, with responsibility for Teaching & Learning. VoicED: What are your day to day responsibilities? Tim: My key responsibilities are ensuring that teachers are in a position to support the best possible student learning. We have a focus on trying to develop the professional capital of staff, supporting them to learn and develop alongside the pupils to ensure that every student leaves us as a well-rounded individual having achieved the best possible outcomes, with improved life chances. VoicED: Which book would you recommend that every teacher should read? Tim: ‘Teach Like a Champion 2.0’ by Doug Lemov or ‘Making Every Lesson Count’ by Sean Allison and Andy Tharby. VoicED: What’s been the biggest change in education policy in the last five years, in terms of how it’s affected your role? Tim: There have been so many – this fact makes it difficult to pick one that is significant. The volume of change is the significant thing – it has meant that teachers are not being given time to plan for and facilitate the changes, ensuring quality, before the next change is upon us. In the drive to improve standards teachers have been forgotten about – no education system can outperform the quality of its teachers. We should have been concentrating on improving teacher quality by supporting professional learning as a priority rather than concentrating on systemic change. VoicED: We like the capitals at the end of EducatED! Can you tell us a little about the conference – what is it and what made you start it? What are the benefits of EducatED to teachers? Tim: EducatED is a conference for teachers and educators. It has a theme that changes each year, this year we are discussing ‘Towards a sustainable self-improving school system’. The idea was to put on a really high quality event that allowed delegates to devise their own personalised professional learning for the day. I started it to provide teachers who spend the majority of their time in the classroom to have exposure to fellow professionals that are supportive of collaboration as a model for professional learning. I want delegates to leave saying that it was the best event they have been to and that they are inspired to go back to their schools and start to develop their own practice as a result of the ideas and discussions that they have been part of. I guess that it is designed to be stimulating, informative and fun! It was also important to me to be able to leave a legacy from each event so all the workshop materials are shared online so people can access them as a refresher after the event or as a stimulus if they were not able to attend. VoicED: The Conference is now in its second year, have you found it easier the second time round? Tim: Greatly! I have had a bit more time to plan and it seems to be easier the second time you do things! Last year I learnt about booking, website design and event planning all whilst trying to do my day job! This year I have been able to use those skills and get things together a bit earlier. VoicED: Are you planning a third conference? Do you see it growing? Tim: I hope to run a third; it depends if delegates tell me that they would like another event! It may be on a Saturday to allow a greater number of people to attend but these are very early plans. VoicED: How can people book tickets or get in touch with you about exhibiting or speaking?